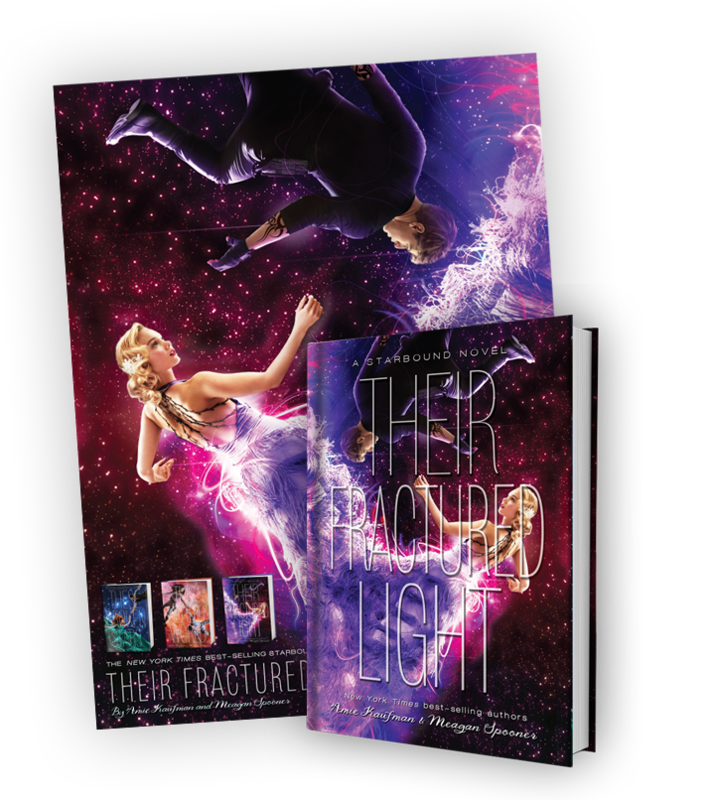 Exclusive Pre-Order Offer for Their Fractured Light! Are you ready for the dazzling finale of the New York Times and internationally bestselling Starbound Trilogy? Pre-order Their Fractured Light through one of the participating stores below and, along with your hardcover, you’ll receive an exclusive, limited edition poster featuring the cover art. What’s more, the back of the poster will have a sneak peek at the first chapter of Unearthed, the brand-new novel from Amie Kaufman and Meagan Spooner coming in 2017. You won’t find any snippets of this book anywhere online, so this is your chance to be the first to read it! Join the #starboundlove craze and win an ultra-rare hand-annotated hardcover copy of These Broken Stars, the book that started it all, filled with behind-the-scenes secrets by the authors! We do this kind of thing a lot. Amie Kaufman and Meagan Spooner have their own newsletter where they post previews, promotional deals, tour dates, and so much more. It's the best way to keep up with the authors and their work.